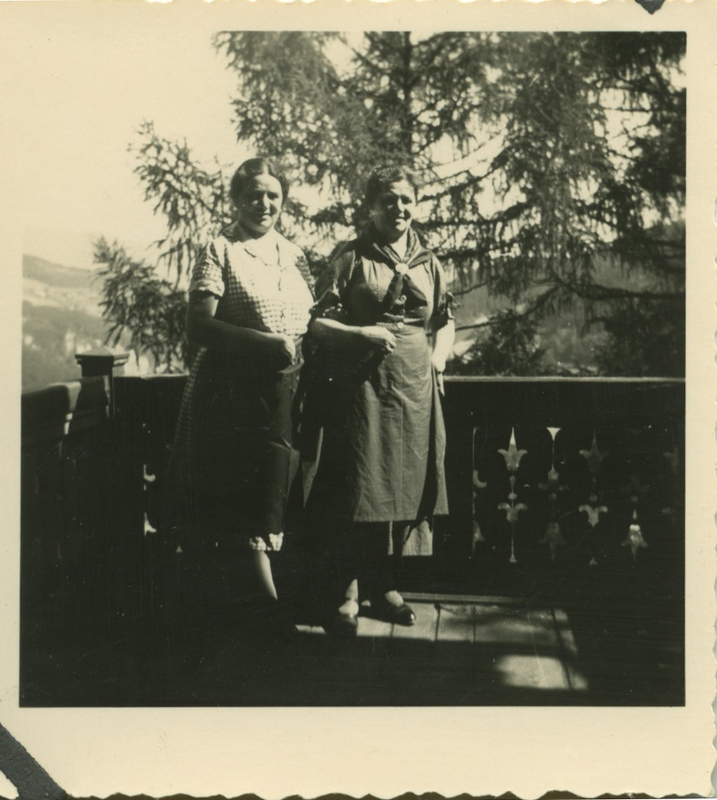 In 1935, my great-grandmother Helene went on a trip to the Austrian countryside with her sisters Hermine and Rosa, her brothers-in-law Julius and Bernhard and a box camera that took these photographs and others. 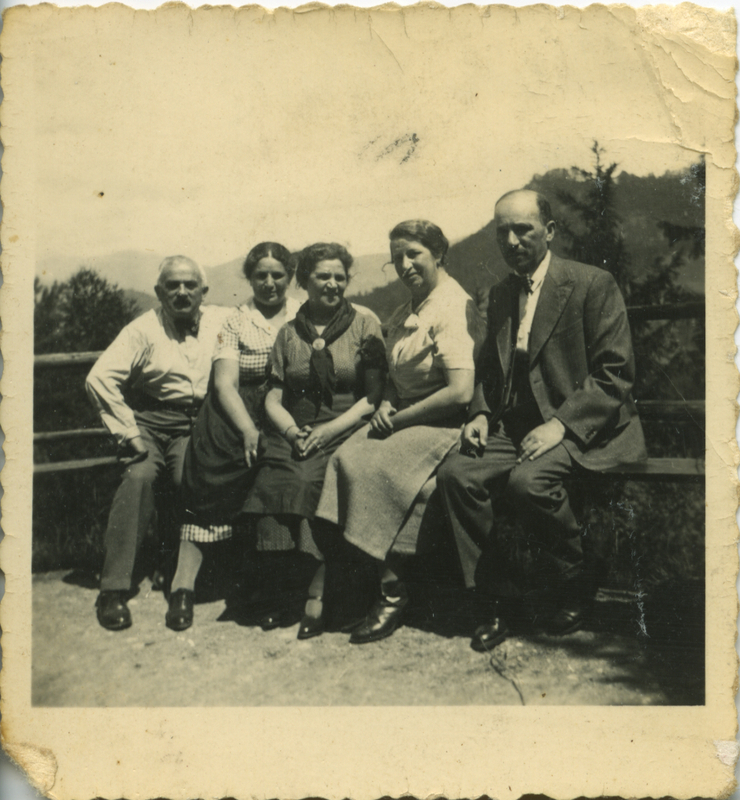 I’m not sure if her husband, my great-grandfather, the often philandering Emil, went on this trip too – he’s not in any of the pictures and I’ve been told that Helene’s sisters were not particularly fond of him. 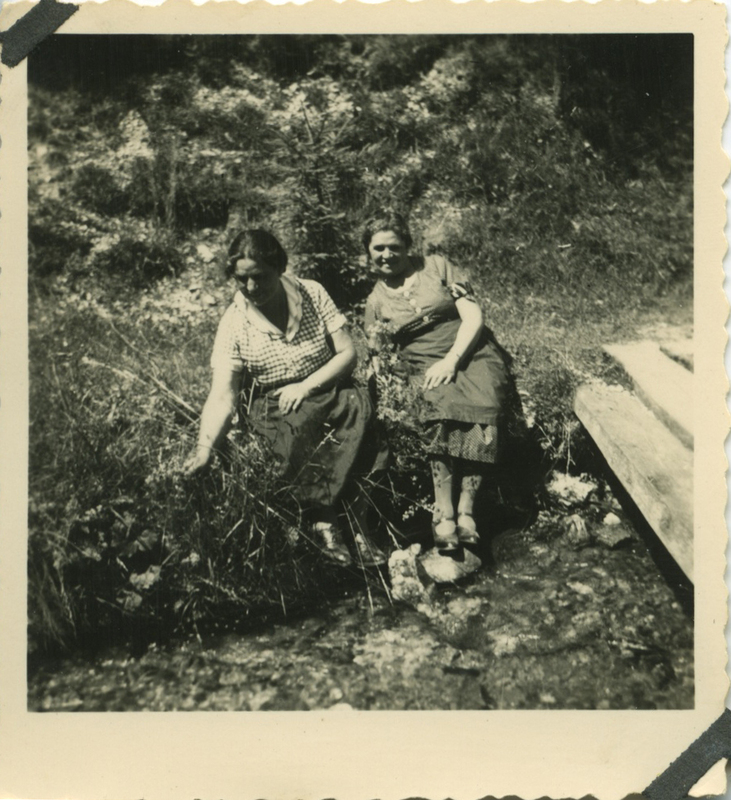 These pictures of Rosa and Helene on holiday in Maria Schutz made it to the United States with my grandfather Frank four short (and long) years later and I’m glad they did. There is something touching in the way the two sisters interact with each other here that makes me sorry I never knew them – the way they pose so similarly in both photographs, as if the same rules of photograph posture were impressed on them in their youths; the simultaneous intimacy and awkwardness of the way they stand in the picture at the very top, Rosa’s hand linked through Helene’s arm, both of them with hands tentatively perched over their stomachs; the way that they have become so similar looking in their middle age, despite the difference in their ages and the fact that they didn’t look so much like twins when they were young. Then I think about how so soon after this vacation, their world was completely torn apart. Five years later, Helene was dead, killed in a car accident in Havana, where she had been a refugee waiting for a visa to the United States that came too late. Rosa and her family were adjusting to life in what was not yet Palestine, hoping against hope that the rest of the brothers and sisters and cousins and uncles left in Europe would find a way out, later getting the news that only some of them had. The solace for this grim fact comes in knowing that there is something of them that lives after such devastation — in my sister and I who can pose like this somewhere in the mountains in thirty or so years, with those ties that bind us as sisters just as apparent.